The Igbos call it ‘ukwa’; the Yorubas know it as ‘afon’. African Breadfruit seeds are small and often cowrie-like grains sourced from the oval pods of a wild but domesticated tree of the mulberry family. 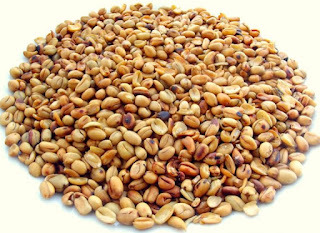 As expected, the highly versatile, fibrous and protein-packed kernels are one of the very few Nigerian delicacies that many readily grapple at─ whether prepared plainly with potash, as porridge or roasted to be eaten with coconut and palm kernels. Breadfruit seeds are also endowed with an abundance of nutritional values and health benefits, among which are the following. The potassium, folate and wide variety of antioxidants packed into breadfruit seeds are known to endow consumers with neurological benefits best suited for tackling age-related decline in mental dexterity. While folate has been shown to lower the risk of Alzheimer’s, potassium has been found to be associated with an increase in blood flow to the brain; amplify neural activities and enhance concentration. Also, the vitamin B6 component of breadfruit seeds is also associated with curtailing mood swings and enhancing overall emotional stability as the magnesium content regulates sleep and reduces insomnia. With a cup of breadfruit containing about 1,078 milligrams of potassium in comparison with just 4.4 milligrams of sodium, the food helps the blood vessels relax, thereby maintaining a stable blood pressure. Studies have also shown that people who consumed 4,069 mg of potassium per day had 49 percent lower risk of death from ischemic heart diseases compared to those who consumed less than 1,000 mg per day. The high fibre content of breadfruit makes its absorption into the bloodstream proceed slowly and this also reduces cholesterol, regulates blood sugar and contributes immensely to overall cardiovascular health. Packed with an abundance of vitamin C and antioxidants required by human body, breadfruit could aid the immune system in developing resistance to infections as well as in eliminating carcinogenic radicals in the body. The bowel-easing property of breadfruit seeds is attributed to the food’s high fibre content. 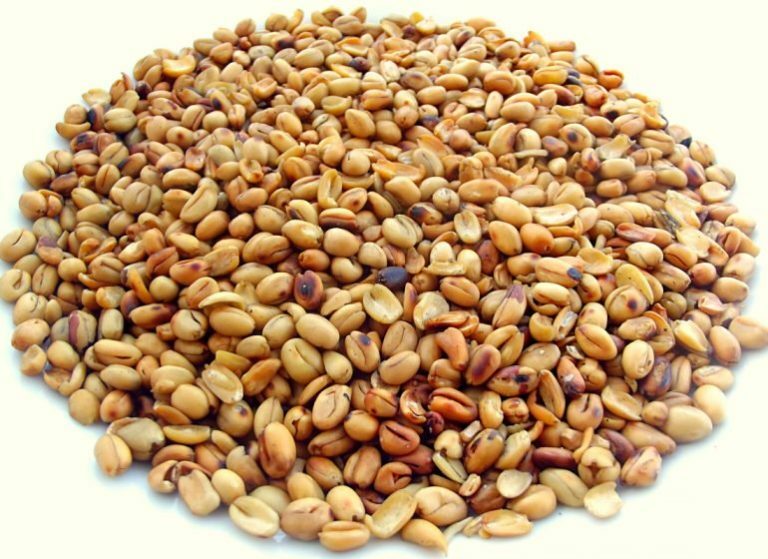 It also helps prevent constipation and bloating and reduces cholesterol absorption in the gut. Breadfruit seeds also help in the stimulation of peristaltic motion and gastric juices which protect the body from colorectal cancer. Asides the cognitive benefits derived from them, breadfruits also play an important role in supporting skeletal movement and smoothening muscle contraction because of their potassium content. Breadfruit seeds are also known to possess vital nutrients that help conserve calcium in the body. Their riboflavin, zinc, and manganese components are also essential for bone metabolism and overall bone health. The Collagen-producing property of breadfruits coupled with of high concentration of vitamin C means the delicacy might indeed offer certain anti-aging benefits following that collagen keeps the skin glowing and free from wrinkles. Breadfruits also contain sufficient amounts omega 3 and 6 fatty acids, two vital polyunsaturated acids that support foetal growth and are important for a foetus’ retina and neuron development.